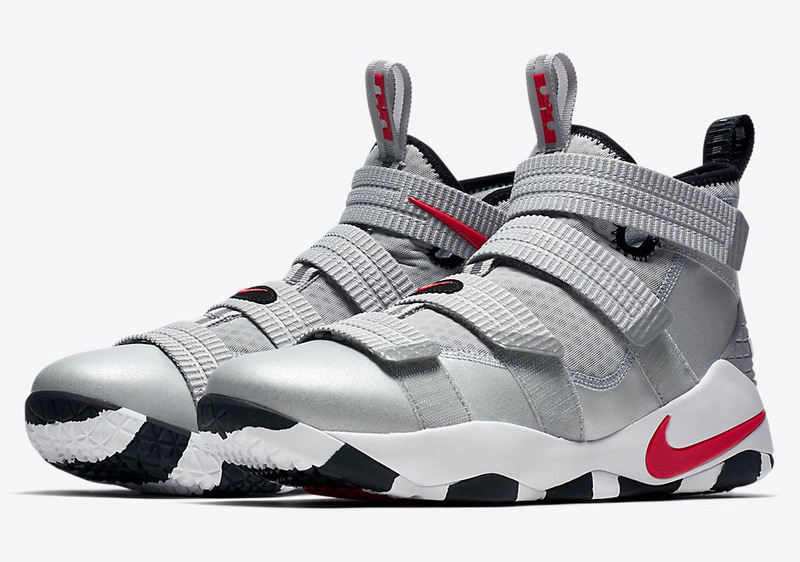 Update: The Nike LeBron Soldier 11 “Silver Bullet” releases on August 17th for $140 USD. How many different Air Max models received the Nike Air Max 97 Silver Bullet treatment this year? 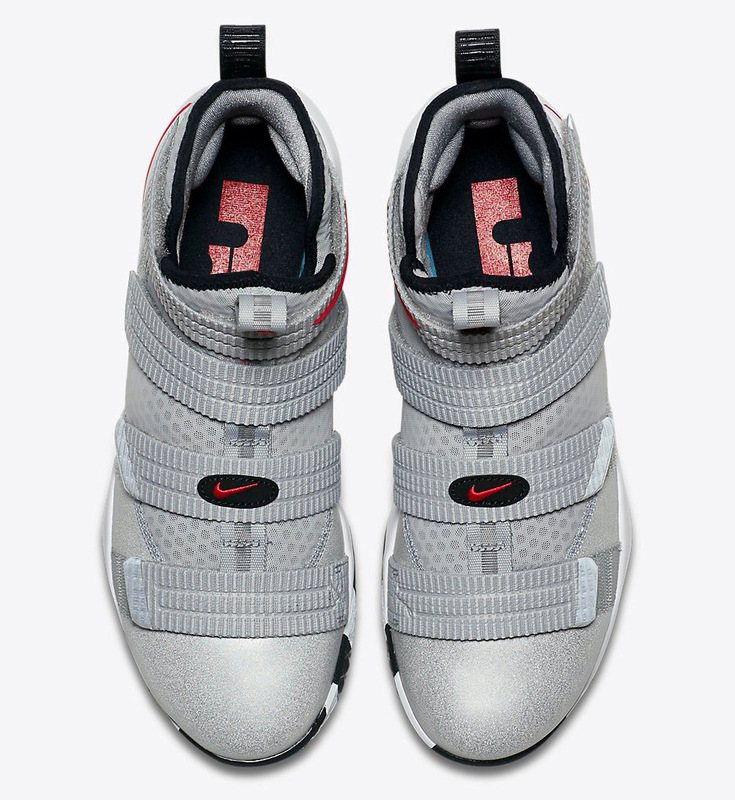 Here’s one we didn’t expect: the Nike LeBron Soldier 11 is getting the Silver Bullet inspiration in the near future, as LeBron’s postseason model features Metallic Silver throughout with additional oval Swoosh branding on the midfoot strap in a callout to the classic colorway recently released for the Air Max 97’s 20th anniversary celebration. 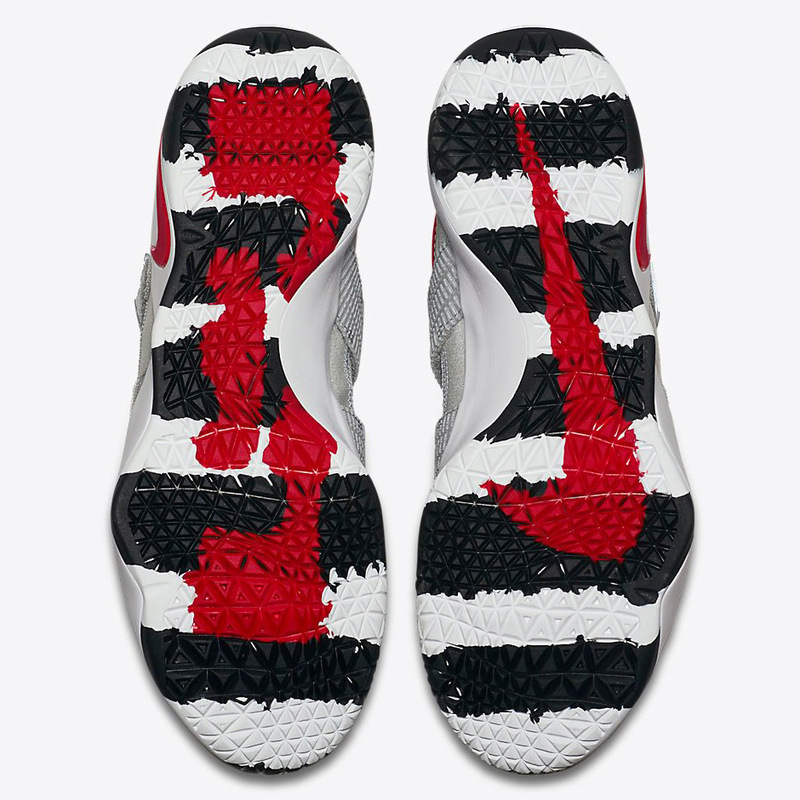 This wouldn’t be the first time that LeBron has teamed up with an Air Max model as King James had his own Air Max 95 colorway and a hybrid model known as the LeBron 12 Low AM95. 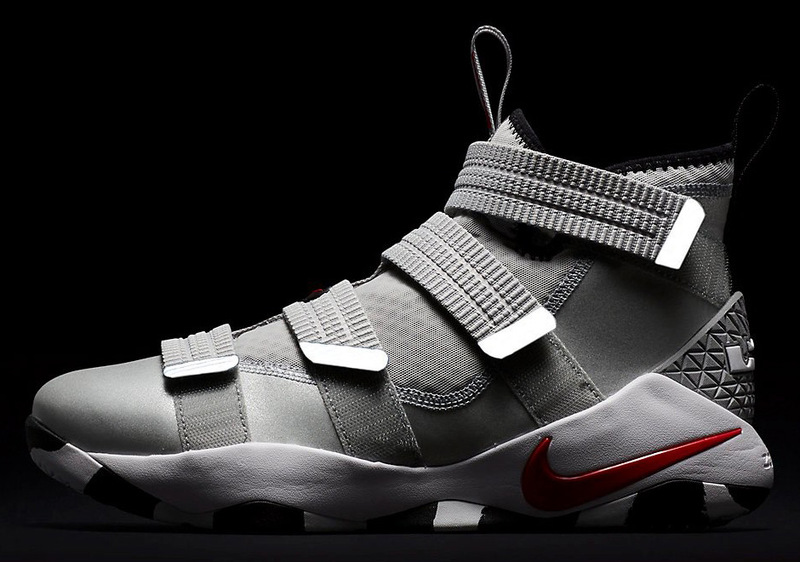 There’s no word yet on a Release Date but stay tuned for more info right here on Sneaker News.